In an attempt to eat without grains… crazy right? Well it is an experiment to get all in my family healthy and happy and reestablish some really good GI flora and gut healing. I’ve been super inspired by this amazing book Breaking the Vicious Cycle by Elaine Gottschall, B.A., M.Sc. It is a SCD or Selective Carbohydrate Diet, meaning no starches since they are longer chain carbohydrates and extremely hard to digest when you have compromised gut flora or food sensitivities. What I do like about this diet so far is that instead of focusing on grains + veggies + fruit + nuts = my diet, I do lots more veggies…. which come on are the super nutrient rich foods anyway. 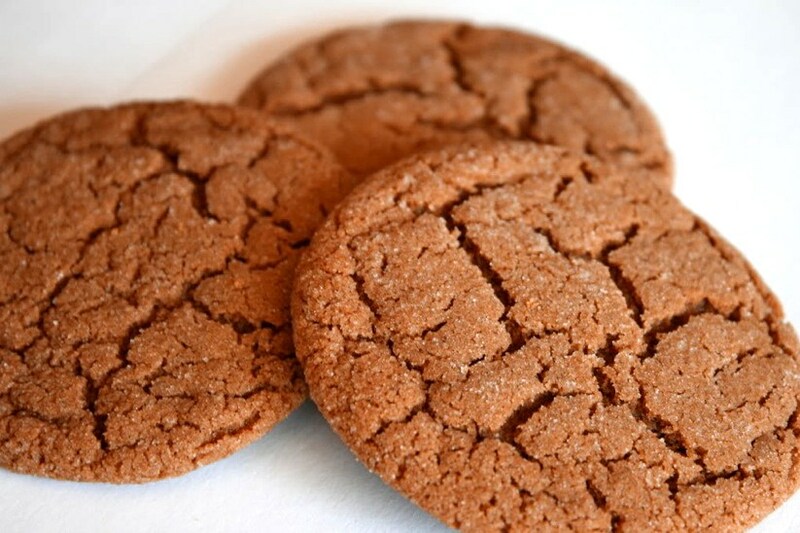 In my search of craving something sweet that is on this diet I found the most delicious Ginger Cookie Recipe EVER! You might think I am joking, but for real the texture is gummy and chewy with a little crisp on the outside. So satisfying!! I got the recipe from: The Comfy Belly Blog and here it is… just a side note that this blog is definitely gluten free and grain free, but NOT vegan. Some recipes are vegan friendly though. Preheat your oven to 350°F (175°C, or gas mark 4). 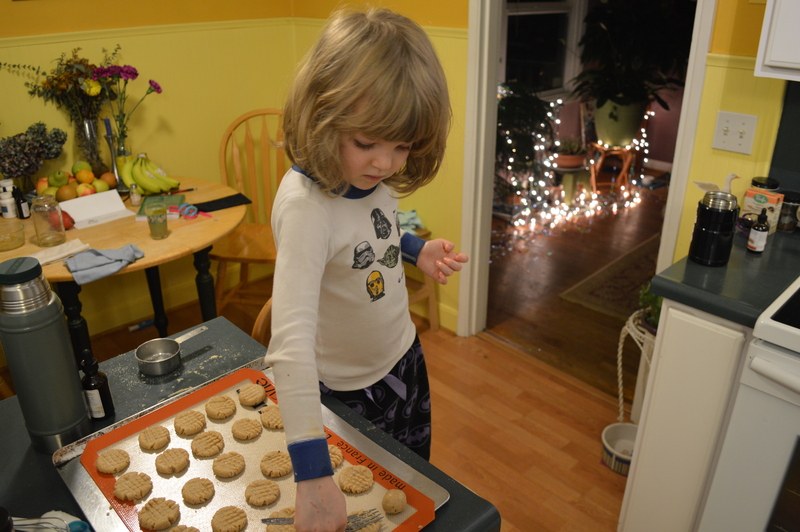 Prepare baking sheets with parchment paper or non-stick baking mat. Blend the dry flour, salt, baking soda, cinnamon, ginger, and cloves together in a mixing bowl. Add the maple syrup and coconut oil to the dry ingredients and blend well until a soft dough forms. If the dough is too soft to shape into small balls, place it in the freezer for 5 to 10 minutes. With a spoon or your fingers roll up to 1 tablespoon of dough into a small ball and place it the baking sheet. Place them about 2 inches apart. Press each cookie with the palm of your hand to flatten it out into a disc shape. Optionally, sprinkle some sea salt on top of each cookie. Bake for 10 minutes or until the cookies are turning golden brown and dark around the edges. Careful not to burn them because they do so easily. Makes about 24 small cookies…. ENJOY!! !